During my Visit to the London Toy Fair in January, the kind folk at TOMY talked me through some of their new and existing products. I saw a demonstration on the TOMY Toomies Spin and Splash Jellyfish and loved it straight away! I loved it so much that I actually reserved one in my local Argos whilst I was on the train back home. My toddler loves the bath – she resists going in and then I can never get her out so I don’t mind spending some money on bath toys as I know they will be used a lot. So what is the Spin and Splash Jellyfish? The Spin and Splash Jellyfish is made by TOMY. I’m sure almost all parents have a TOMY toy in their house (probably the hide and squeak eggs!). TOMY has been around for almost 100 years so they definitely know what they are doing in the Toy world. The Spin and Splash Jellyfish is aimed at babies and toddlers aged 12 months plus. My toddler is 2 and a half and knew what to do with it straight away. The idea is that you dip the colourful little jellyfish into the bath, when you lift it up the water comes out of his tentacles like a rain shower! Not only is it completely adorable – the bright colours brighten up bath time. What did we think of it? Yes! The plastic feels quite thick so I’m really confident it’s not going to break after a few uses. It has survived being bumped and dropped in the bath quite a few times this week. The eyes and mouth are printed directly onto the Jellyfish, so you don’t have to worry about them coming off in the water. Will it last as a bath toy? One of my biggest bug bears with bath toys is how quickly they go mouldy or that they always have a little bit of water in the bottom making them go smelly and straight into the bin. I found that this dried out completely, no water was left in the middle section of the toy. What I really liked about it is that we don’t have to just use it in the bath – it would be great in the paddling pool in the Summer as well. She hates getting any water in her eyes (probably my fault for not taking her swimming enough!) but this didn’t faze her at all. I think the excitement of the rain shower made her forget the water in her face. She enjoyed filling it up and watching the water come out. She picked up straight away what to do to get the water to come out. Washing hair is a battle in our house at bath time. I plan on using this to help rinse her hair – hopefully she wont protest as much! I paid £12.99 for it from Argos (retail price) but it is available slightly cheaper on Amazon. Overall we loved the Spin and Splash Jellyfish! I would definitely recommend it to friends and I’ll be keeping it in mind for birthday/Christmas gifts for some other little ones we know! This item was not provided by any external agency or company for review – it was purchased by myself (as I loved it so much!). LOL Surprise DIY Glitter Factory – Where Can I Get It? 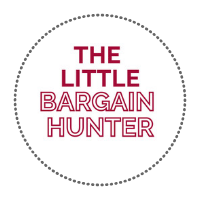 Some links shared by The Little Bargain Hunter are affiliate links. Read more about this in my Affiliate Policy.